Congratulations to all the first year students in Caritas College for performing at their Christmas ceremony in conjunction with the JCSP program, you were great. 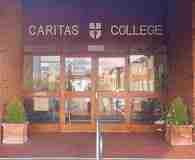 Tempo Music School spent a whole day with the girls of Caritas College teaching bodhrán to 1st, 2nd, 3rd and 4th year students. We had a great day and would like to thank everyone involved.